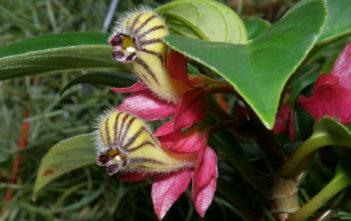 You are at:Home»Archive for "Nematanthus"
Nematanthus is a genus of flowering plants of the family Gesneriaceae. All of its species are endemic to Brazil. 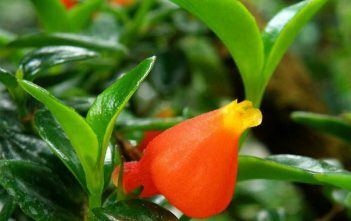 Compared to other gesneriads, Nematanthus has leaves that are small, succulent, and hard-surfaced. 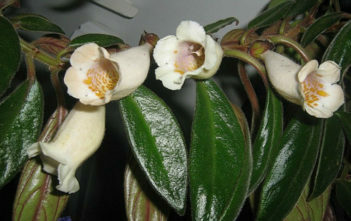 The plant has a trailing, branching, and spreading habit. 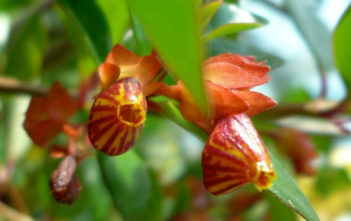 It is generally an epiphyte in nature and a hanging-basket plant in cultivation.